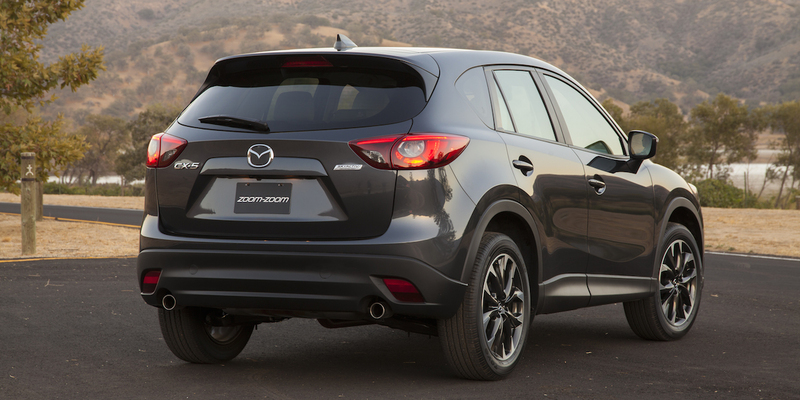 The CX-5 has no glaring faults, and it combines impressive fuel economy with a high feature-per-dollar ratio. Power, rear-seat room, and interior storage don’t rank with the best in this class. Test examples have averaged an impressive 30 mpg. 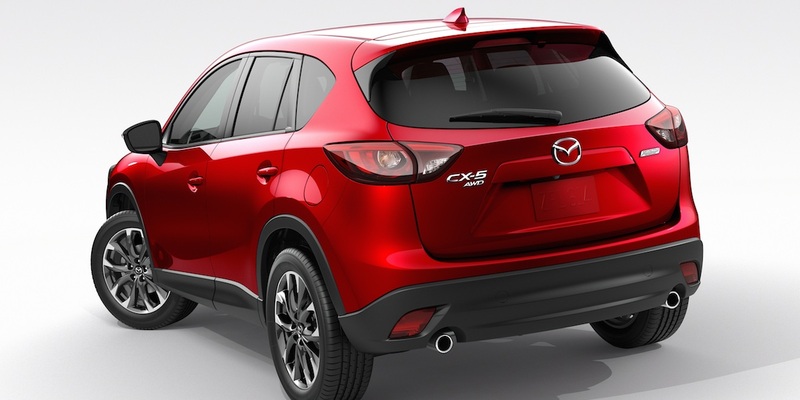 The CX-5 is Mazda’s compact crossover SUV. It comes in front- and all-wheel-drive versions and offers two-row seating for 5 passengers. Three trim levels are offered: Sport, Touring and Grand Touring. Base Sports have a 155-horsepower 2.0-liter 4-cylinder paired with a 6-speed manual transmission. 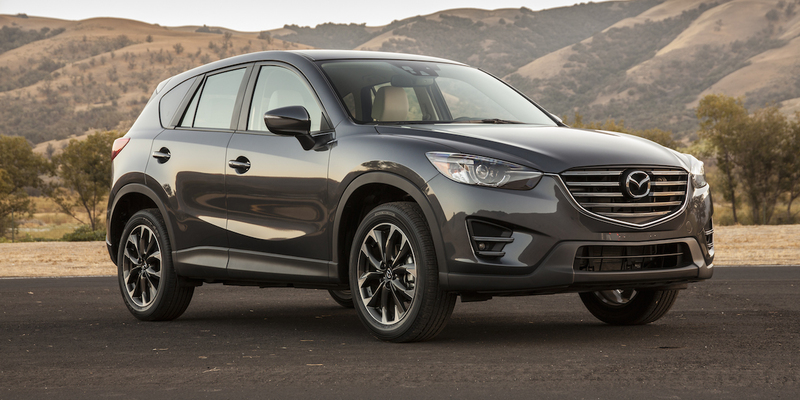 All other CX-5s have a 184-hp 2.5-liter 4-cylinder paired with a 6-speed automatic. All-wheel drive is available on all but the manual-transmission Sport. 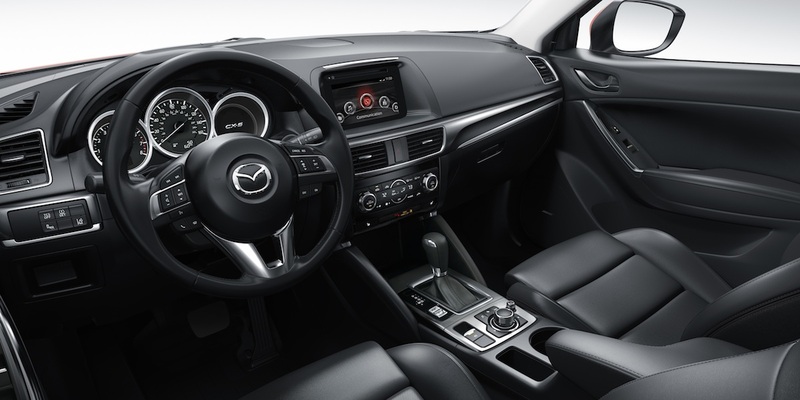 All CX-5s incorporate Mazda’s various SKYACTIV technologies, which include engine and transmission advancements along with optimization of other systems to produce increased fuel efficiency. A minor exterior styling touch-up includes a new grille and available LED headlights and taillights. The interior gets some upgraded materials, standard Bluetooth connectivity, and an electric emergency-brake button that does away with the space-robbing handle. Touring and Grand Touring models get an upgraded Mazda Connect infotainment system with a console-mounted control knob. Rear cross-traffic alert, adaptive cruise control, lane-departure warning, and a low-speed forward-collision warning system with automatic braking are newly available safety features. The EPA rates the manual-transmission CX-5 Sport at 26 mpg city/35 mpg highway. CX-5s with the 2.5-liter are rated at 26/33 with front-wheel drive and 24/30 with all-wheel drive. In Consumer Guide® testing, a manual-transmission Sport averaged 30.3 mpg. An all-wheel-drive Grand Touring returned 27.3 mpg in mixed driving. Note that front-wheel-drive CX-5s use a 14.8-gallon fuel tank, while all-wheel-drive models have a 15.3-gallon capacity. All CX-5s use regular-grade gasoline. 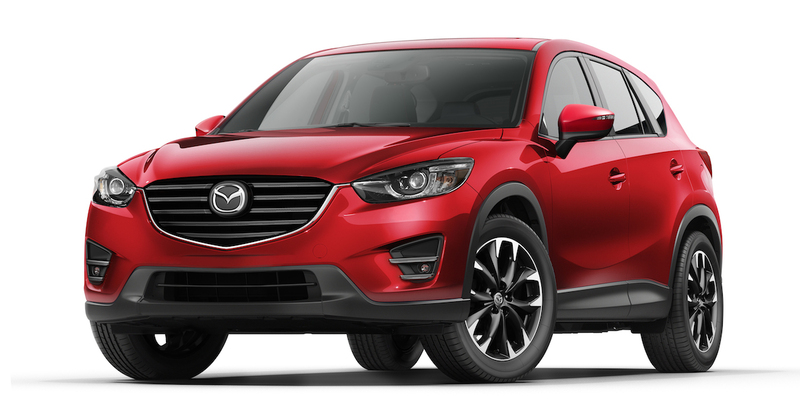 The Mazda CX-5 has been a perennial Consumer Guide® Best Buy award winner for its impressive fuel economy, fun-to-drive character, and all-around value. The numerous additions and upgrades for 2016 bolster its standing in the highly competitive compact-SUV class. Any CX-5 feels sportier than its main rivals, with little penalty in ride quality or overall practicality. AVAILABLE ENGINES 155-HP, 2.0-LITER 4-CYL. ; 184-HP, 2.5-LITER 4-CYL.